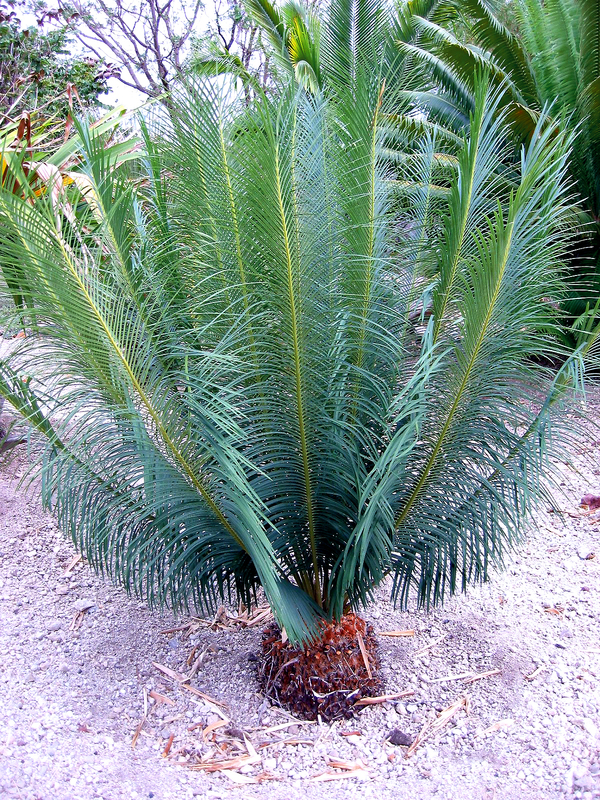 Cycas panzhihuaensis comes from the Sichuan and northern Yunnan Provinces of China. It produces a lovely blue-gray-green flush of leaves over time. This plant has been relatively unknown outside of China - until recently. Very few specimens and/or seeds of this plant have been allowed out of the country. Cycas panzhihuaensis is very cold-hardy - as it grows in an environment with very cold and often frosty winters.